When you are shopping for PC gaming equipment or building your own gaming pc, chances are you spend a great deal of time selecting the best pc card, motherboard, and processor for your machine. You probably even spend a lot of time selecting the perfect looking case for your build. But have you ever given much thought to your keyboard? A good gaming keyboard used properly can mean the difference from winning or losing your favorite game. 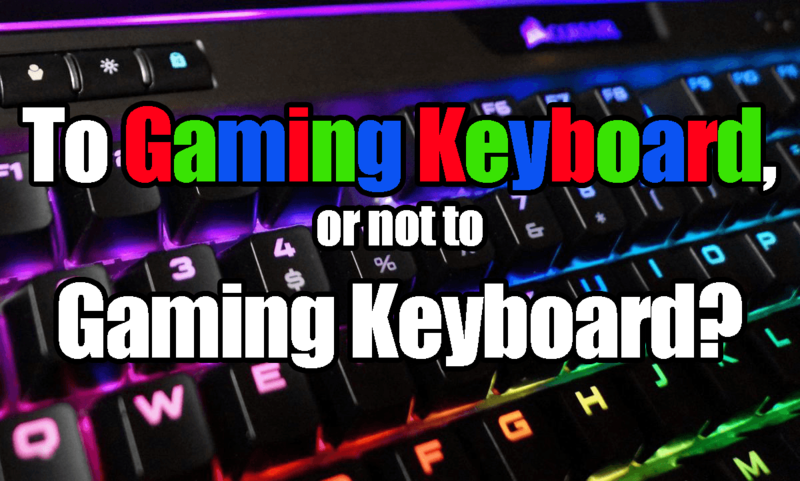 Let’s take a look at five reasons why a good gaming keyboard could mean the difference between success and failure while playing your favorite pc game. While games may have become much more casual friendly in recent years, the best games still often require rather long play sessions. Just think about your typical MMO. Even the most casual friendly MMORPG’s require more than 20 minutes of your time. Sometimes, they may need a few hours, especially if you are tackling end game content with a large group. A gaming keyboard usually features full-sized, well-spaced, mechanical keys that are easy to use for longer periods of time. On top of that, the shape of the keyboard is usually made to fit your hands perfectly so you can use your keyboard for longer stretches without hurting your hands and wrists. 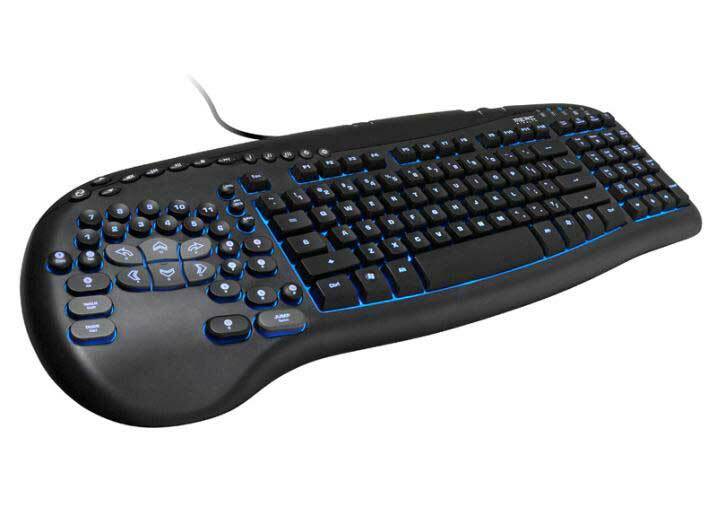 Most gaming keyboards feature mechanical keys instead of the membrane keyboards out there. The keys on these keyboards are much easier to press and often don’t have to be pressed with as much force as other types of keyboards. This means you can type much faster on it compared to other keyboards. If you are playing a game, you will be able to move your character with much more ease compared to the other keyboard. Because it’s easier, you won’t suffer from fatigue while you’re playing and you will be able to make all your moves much faster. Sometimes in games, milliseconds matter, and you can easily gain a few milliseconds if you use a mechanical keyboard. Macros are definitely the largest advantage of gaming keyboards. Gaming keyboards often come with a row or more of keys that you can customize to do almost anything in your favorite game. On top of that, you can often set multiple profiles if you play different games. This allows these keys to operate differently in every game you play. By creating customize macros, you can automate some of the most important, and sometimes tedious, tasks you have to perform in your game. These tasks will not only make it easier to play, but could give you just that small advantage you need when going against the toughest bosses or other players. While this doesn’t apply to every keyboard marketed for gamers, there are many gaming keyboards out there that come with custom control pads on the left-hand side of the keyboard. These controls mimic the WASD keys and the keys surrounding them into a custom control pad. These custom keys make it much easier for you to control your characters in game. Better control usually translates into better response time while you play. That means you will be quicker to the draw whether you are going up against the AI or another player while enjoying your favorite PC game. First, let’s just get this out of the way – backlights are cool. 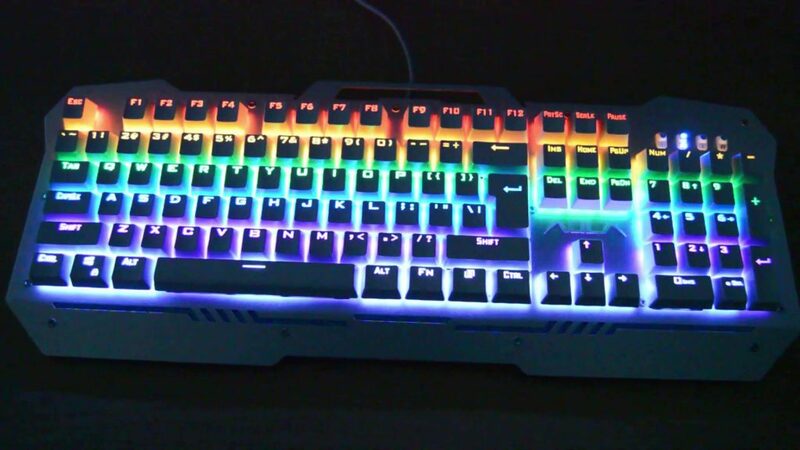 Keyboard backlights, especially on gaming keyboards, often feature multi-colored backlights that you can customize yourself. They just look cool, and that makes gaming even more fun. But beyond this fact, backlights do serve a purpose. Backlights allow you to game in all sorts of lighting. When I game, I often enjoy turning down the lights in the room and playing in the dark. This is especially fun when you are playing a game in the horror genre. If you turn down the lights, you can really allow yourself to be sucked into the game, but you still need to see what you are doing, and that’s where the backlight comes into play. No matter what color in may be, a backlight will help you see what you are doing in the dark so you can enjoy your games in all types of lighting. While a good gaming keyboard will never be as important as the specs of your gaming computer, it can give you a small edge over other players. At the very least it will make your gaming experience much more fun. 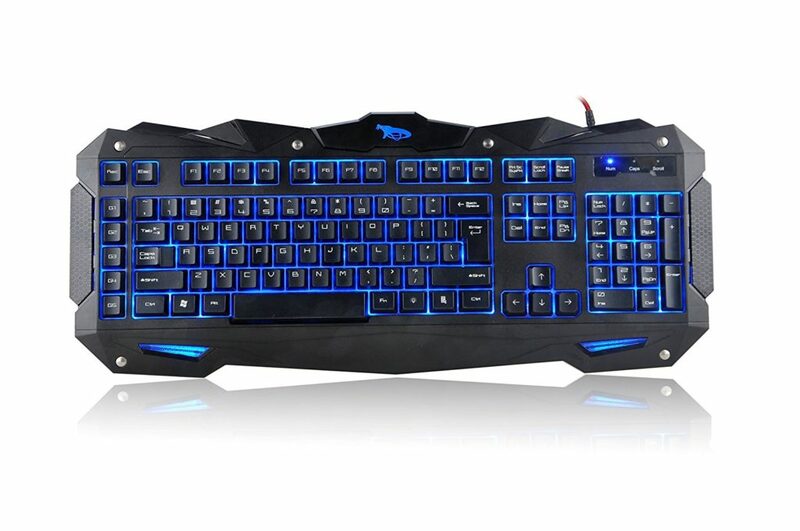 If you are looking for anyway possible to improve your performance while you play the latest gaming titles, then consider a gaming keyboard. I believe it could definitely mean the difference between success and failure in the highly competitive realm of pc games. Thank you to DESKTOPCOMPUTERNINJA for submitting content for this article. Interested in a VR Ready pre-built PC? Then check out the DESKTOPNINJA Pre-Built Gaming PCs article. The other reason that comes to mind is key rollover. i.e. how many keys can be pressed simultaneously and still work. That’s a very good reason Josh! And one that is probably not given the attention it deserves. I can think of several games where that would be a huge hindrance. Thanks for sharing! Any sugestions for a sub 50$ gaming keyboard (with the specifications you said on this post) ? Well if I were to choose a sub $50 gaming keyboard, I’d go with the Turtle Beach Impact 500, more of a minimalist gaming keyboard, mechanical and all. However this is where adding extra featured becomes more of a $numbers game since when adding more macros, comfort and RGB lighting do come at a cost.